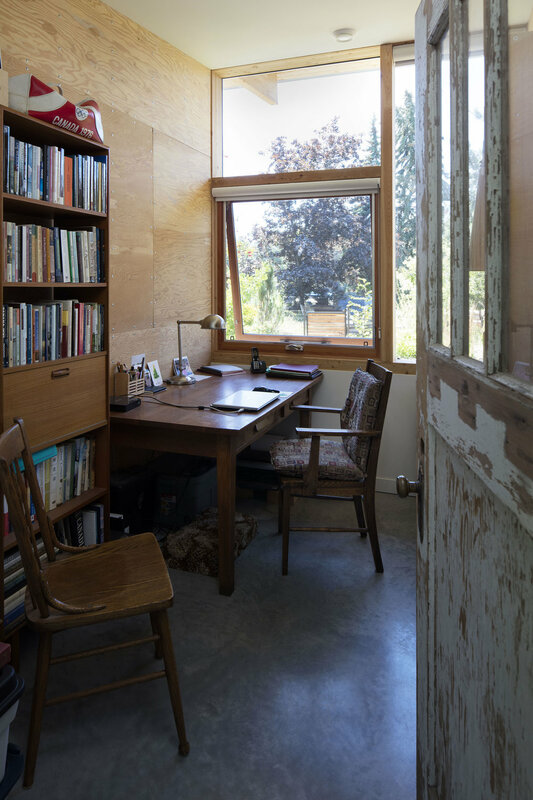 This compact house in the village of Naramata straddles the line between wild and cultivated nature. Aligned along the required 15 m. riparian setback from Naramata Creek, the house becomes the dividing line between a naturalized landscape to the north, and a patio and garden to the south. Rooflines and exterior finishes are kept simple and durable, utilizing metal cladding on roof and walls. 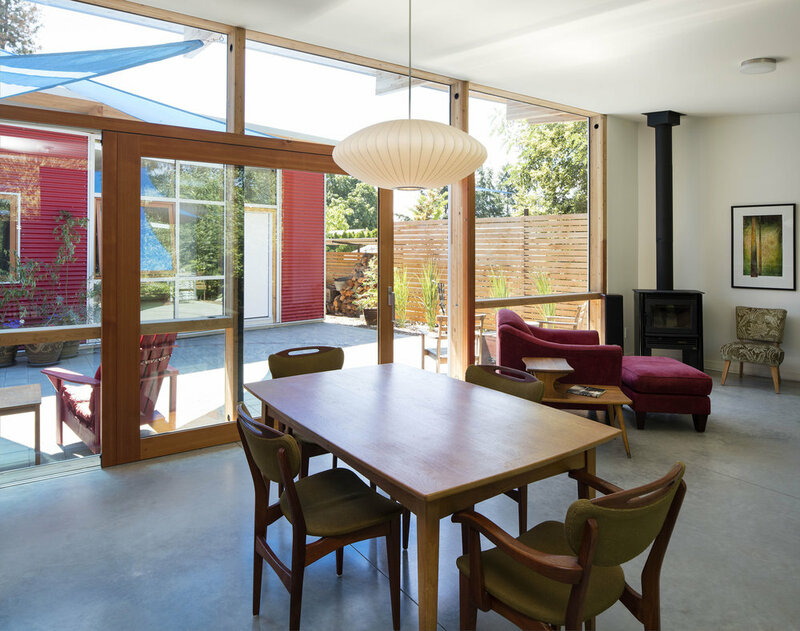 Expansive windows are attached directly to the glulam post and beam frame. 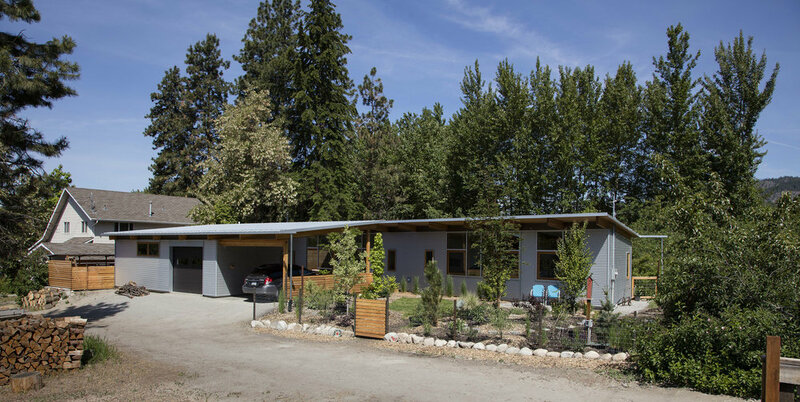 A detached garage and art studio is positioned to create privacy within the lot, and the contrasting roof slope provides a mounting plane for solar panels.